“Come down once you get checked in. I’ve got a new whiskey I know you’ll love,” says bartender Jo Cusker, impressively recalling my penchant for bourbon. It’s my second stay at Paducah’s The 1857 Hotel, and returning to western Kentucky feels like coming home. Jo slides me a mule made with ginger beer, lime juice and Bird Dog Ruby Red Grapefruit whiskey. If I lived here, this would be my local hang, but I sense it’s still a bit of a secret to the natives. Paducah (population 25,000) sits across from Illinois’s southern tip at the fork of the Tennessee and Ohio rivers. 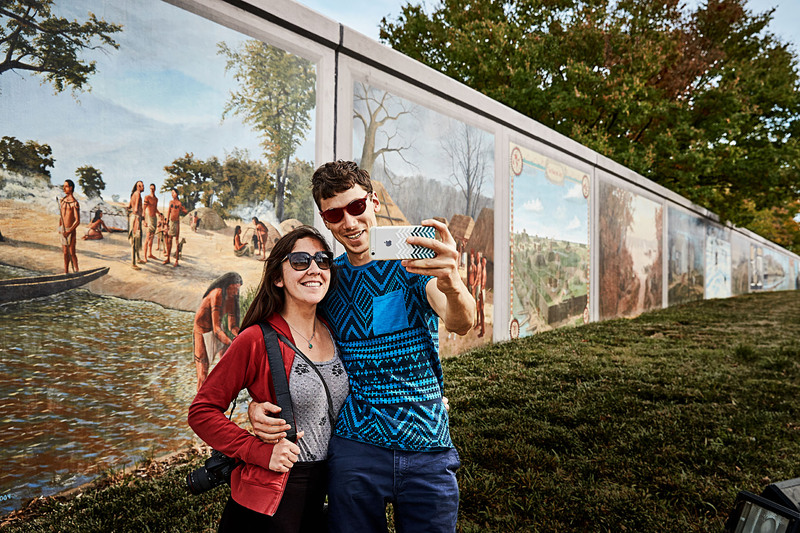 William Clark (of Lewis and Clark fame) founded the town on a 37,000-acre plot he purchased for $5 in 1827, a scene captured in one of 50 hand-painted floodwall murals. The panels skirt the riverfront for three blocks, tracing Paducah’s history as a Civil War battlefront, railroad hub, atomic energy site and more. Paducah’s history unfolds like a filmstrip along the river floodwall. The incarnation I’ve fallen for—the one with the copper mugs and boutique hotel—is too new for the wall. In 2013, Paducah was named a UNESCO Creative City, thanks to its lively arts culture and stereotype-busting National Quilt Museum. Only five other U.S. towns can claim the distinction. Now, a few young entrepreneurs are giving Paducah a dining and lodging scene to match, with just enough honeyed Southern charm (and bourbon) to remind you which river you crossed to get here. Good Night Paul Gourieux and Jorge Martinez turned Paducah into a weekend-worthy overnight destination when they refurbished a warehouse into The 1857 Hotel. 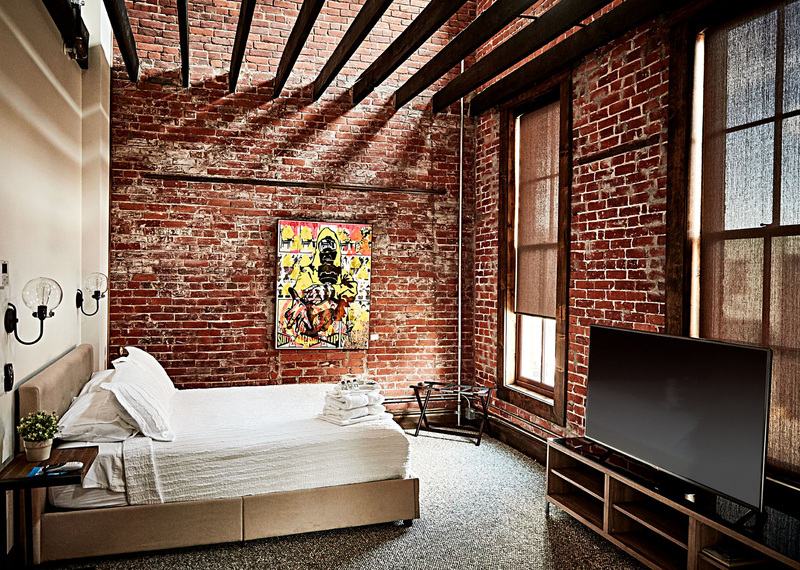 The 10 rooms feel like big-city lofts, with high ceilings, exposed-brick walls and mod furniture. A sleek lobby bar hosts live music several nights a week (the1857hotels.com). Stitch Fix I wasn’t sure what I’d find at The National Quilt Museum, but the diversity of styles at Paducah’s biggest tourist attraction blew me away. From afar, many pieces look like stained glass or photo-realistic oil paintings. 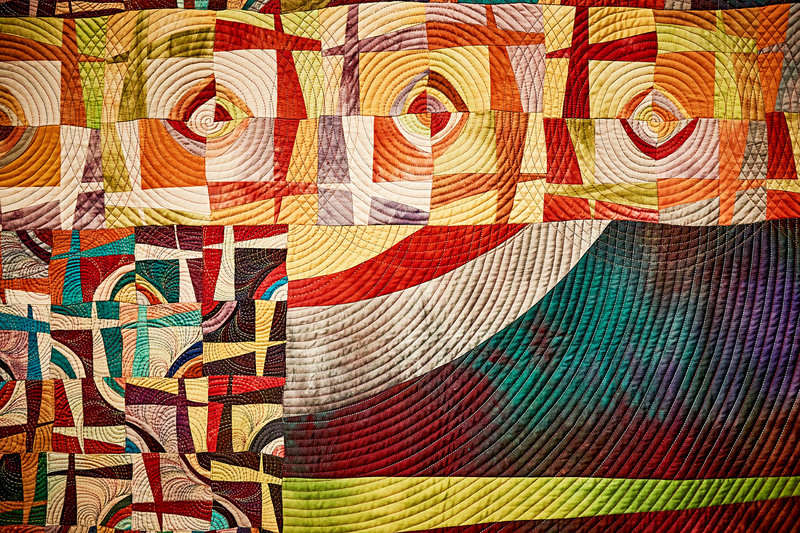 The intricate stitching only becomes apparent when you inch closer—and somehow, that OMG moment never gets old (quiltmuseum.org). 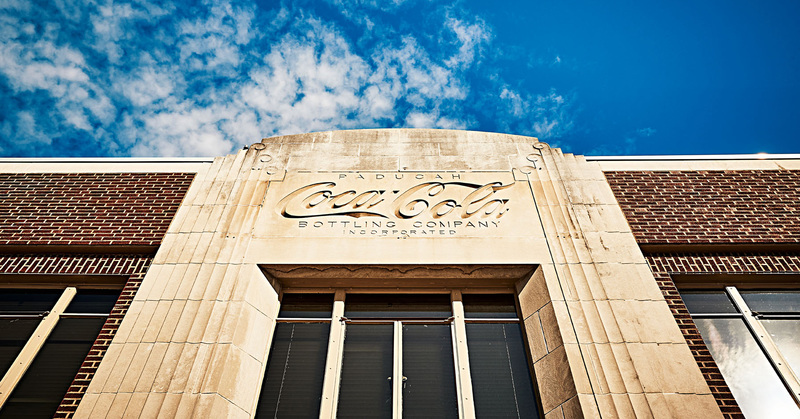 Lightning in a Bottle In the Midtown area, a young dreamer named Ed Musselman is resurrecting the city’s iconic Coca-Cola plant. His ambitious renovation honors the landmark’s Art Deco design while ushering in new businesses like Pipers Tea and Coffee (cupofpipers.com), Dry Ground Brewing Company (drygroundbrewing.com) and an artists collective called Ochre (ochrepaducah.com). Zoned for Creativity Paducah’s oldest residential neighborhood is now the 25-square-block Lower Town Arts District (paducahmainstreet.org), where artists have rehabbed homes as live-work spaces. (Stop at the cute Texaco station visitors center to learn more.) It’s a lovely place to stroll; many of the gorgeous Victorians still go by quaint names like the Colonial and the Adcock. I browsed flea-market finds and rubber-stamped my own postcards at Ephemera Paducah (ephemerapaducah.com). Nature and Nurture Set aside a few hours for an easy fall hike at the expansive Land Between the Lakes National Recreation Area (30 miles east of Paducah; landbetweenthelakes.us). The Woodlands Nature Station lets you get up close to rehabbed owls, deer, turtles and other rescued wildlife. 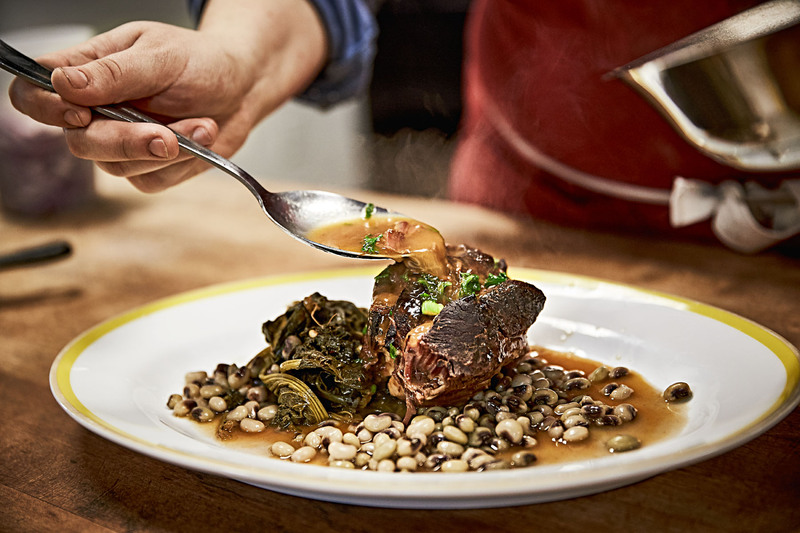 1 In an old railroad complex across from The 1857 Hotel, Freight House’s chef-owner Sara Bradley reinterprets Southern fare with a farm-to-table sensibility. Expect dishes like pork shoulder with black-eyed peas and mustard greens (freighthousefood.com). 2 In 1873, German immigrant Franz Kirchhoff began selling bread to riverboat travelers. At Kirchhoff’s Bakery and Deli downtown, the wood floors are charmingly uneven, and Franz’s descendants offer an array of sandwiches, pastries and coffee (kirchhoffsbakery.net). 3 Next door, Max’s Brick Oven Cafe serves a diverse menu that includes wood-fired pizza and cedar-plank salmon in a courtyard that feels straight out of New Orleans. Don’t turn down the bread basket: The crisp flatbread with olive oil is fabulous (maxsbrickoven.com). 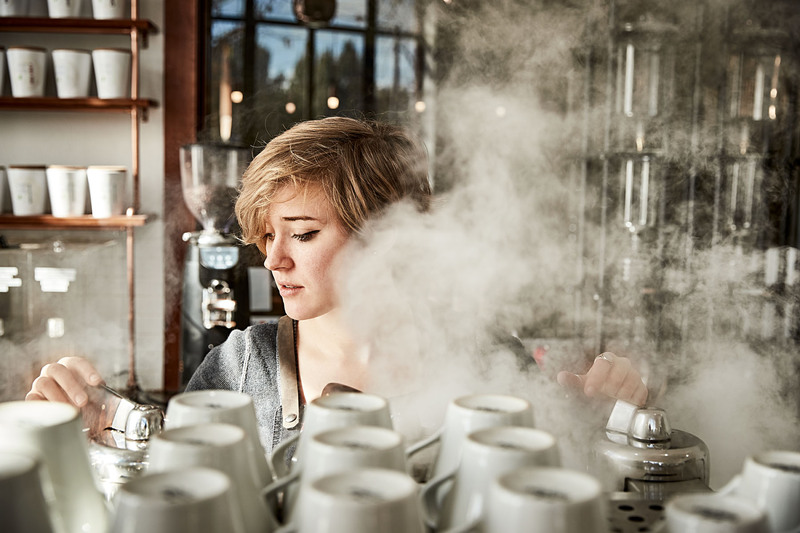 4 If you’re in the Lower Town Arts District at lunchtime, Kitchens Cafe at the Paducah School of Art and Design is the best bet for a quick bite. The ever-changing menu is surprisingly fresh and varied. I loved the pop of mint in my hummus wrap (kitchenscafe.com). Ready to go? Find more information at www.paducah.travel. Saw this awesome article and immediately booked a room at The 1857. My husband and I will be hiking in the Great Smokey Mountains and staying in a little Airbnb in Gatlinburg. This is the perfect stopover for us two UK grads on our way back to our home of the moment in Chicago. Can't wait to check out Paducah!